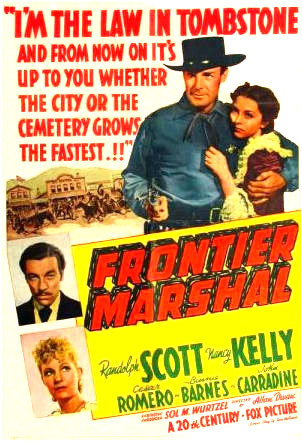 THE MOVIE: Frontier Marshal, directed by Allan Dwan, has a well-deserved reputation as the worst and weirdest cinematic depiction of the events leading up to the Gunfight at the OK Corral. 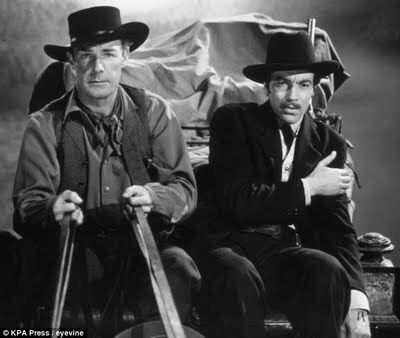 Randolph Scott turns inhis usual bland performance as Wyatt Earp with Cesar Romero a very unlikely Doc. As usual Doc steals the show from the hopelessly dull and straight-arrow Wyatt. Ward Bond shows up as a cowardly lawman, Lon Chaney, Jr, plays one of Curly Bill Brocius’ thugs and Balladeer’s Blog’s old friend John Carradine is the movie’s main villain … Carter. No, not Clanton or even McLaurey but “Carter”. 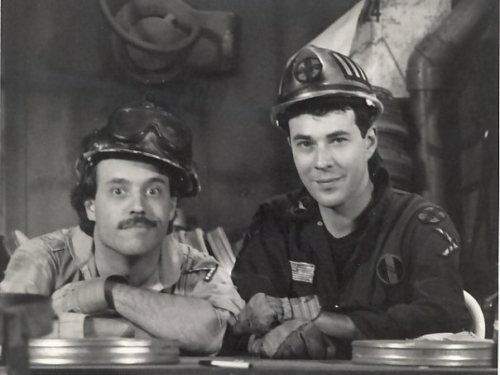 MST3K was a lot like this show! Excellent! Nobody else has much info on Randy and Richard! Reading this review makes me want to see it to see how bad it is. 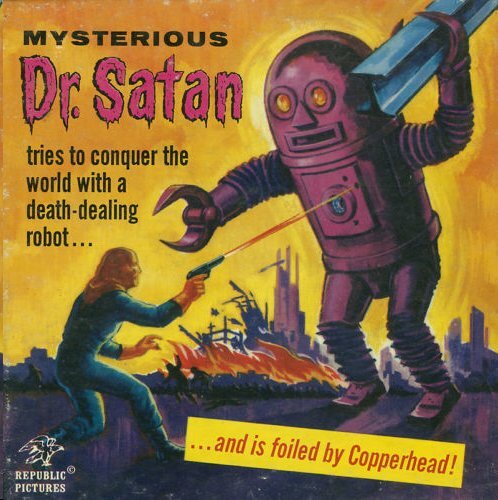 Trust me – it is VERY bad. What a strange account of the Earps and Clantons. Loved the jokes!